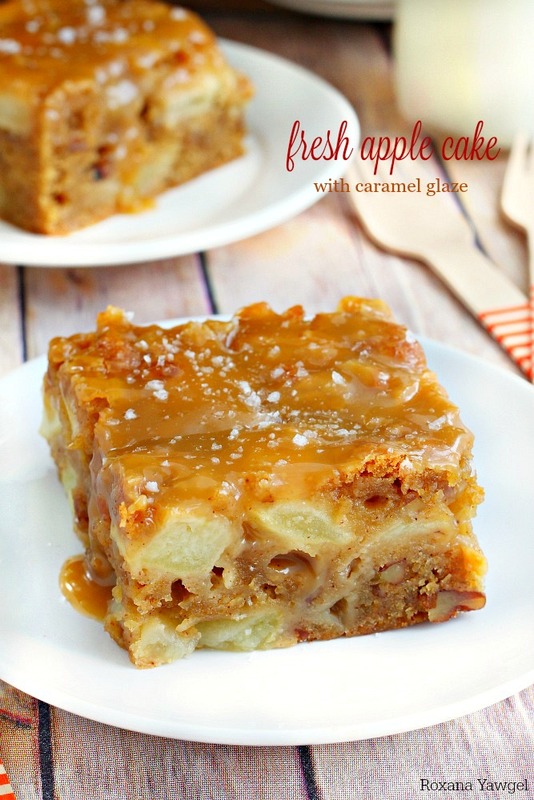 Super moist and delicious fresh apple cake loaded with fresh apple chunks and flavored with warm fall spices. 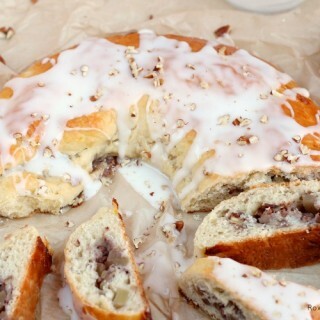 Top it off with a salted caramel glaze for a decadent treat! You know what your holiday menu needs? 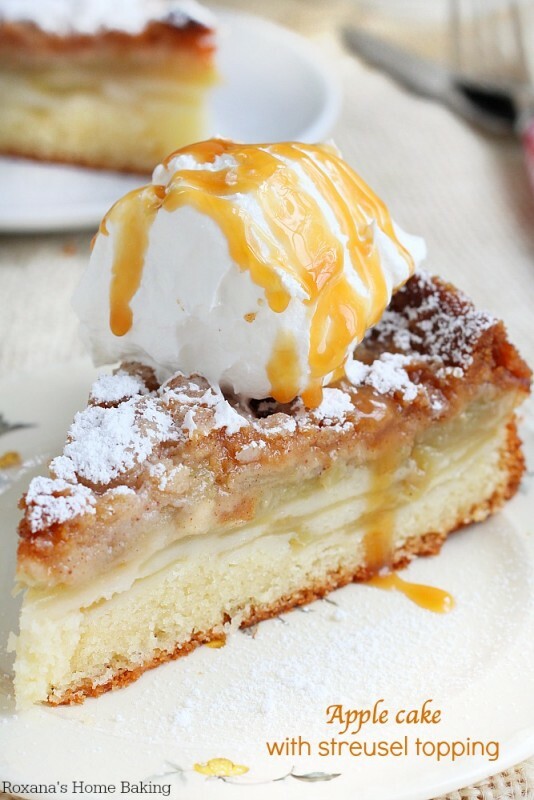 An apple cake. 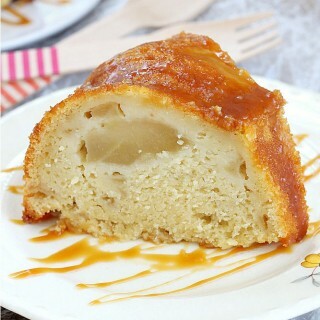 But not just any apple cake, but a cake so full of apples will leave you wondering where’s the cake!! 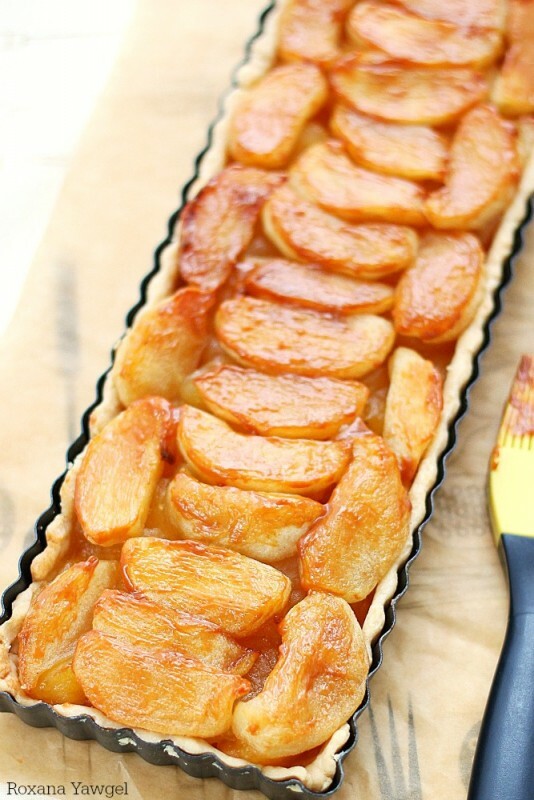 And if all that apple goodness was not enough, once baked, you drench it in a salted caramel glaze. 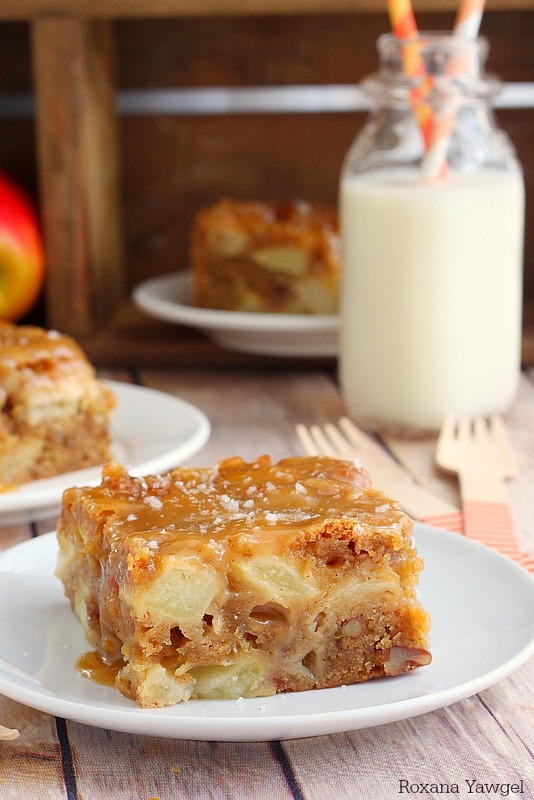 Now, seriously, this apple cake is amazing! 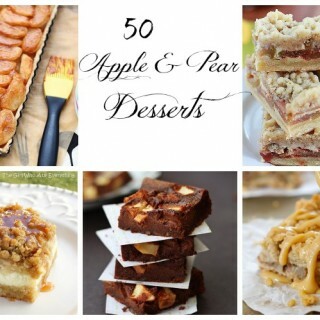 It’s packed with roughly chopped apples, scented with cinnamon and apple pie spices with just a couple of pecans thrown in for a little crunch and the cake is finished with a homemade salted caramel glaze. My little family has a bucket list for each season. Obviously some of the activities repeat themselves year after year. Jumping in the leaves, going to a pumpkin patch, carving a pumpkin, drinking apple cider and later hot cocoa are just a few from our fall bucket list. Apple picking has been on the list this year like every other year. But between some sick days and traveling for a couple of weeks we just couldn’t find the time to go apple picking. Lucky for me the lovely people from Stemilt send me a case of their hand-picked apples. And not just any apples but pinata apples! I had the pleasure of trying these apples the first time a few weeks ago while in Seattle for this year’s International Food Blogger Conference. I have to admit that I was a little skeptic when I saw the apples. The answer made me even more curious to give it a try. Surprise, surprise! This apple went to the Caribbean and came back full of flavor! In a mixing bowl lightly whisk the eggs, just until combined. Add the oil, sugars and vanilla extract to the eggs and beat until well blended. Gradually stir in the flour, baking soda, cinnamon, apple pie spice and salt. With a spatula fold in the apples and pecans. The batter will be thick and barely cover the apples. 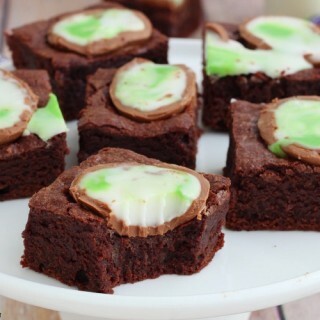 Spoon the cake batter into the prepared baking pan, spreading it into an even layer. Bake the cake in the preheated oven for 1 hour and 15 minutes or until a toothpick inserted in the center comes out clean. Remove the cake from the oven and cool on a wire rack while preparing the caramel glaze. In a medium saucepan melt the butter. Add the sugars, heavy cream and a pinch of salt. Increase the heat to high and boil for 2 minutes or until dime-size bubbles cover the surface of the glaze. Remove from the heat and cool slightly until the glaze begins to thicken, about 5-7 minutes. Spoon the glaze over warm cake. Sprinkle salt flakes over the caramel glaze. Cool the cake completely before cutting it with a sharp knife. If we cannot find pintata apples, what weight or measurement (cups) would be equal to 5 for a substitute? Hi Cheryl, You could use 5 other baking apples. Regular size apples. 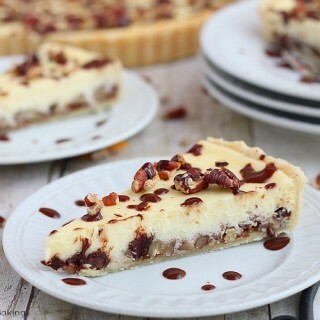 Looks like a great recipe, I am pinning! Also, might want to check the spelling at top of recipe....it says graze instead of glaze. I guess you could graze on glaze, though! I am not a pie person and this is the perfect substitute for apple pie. 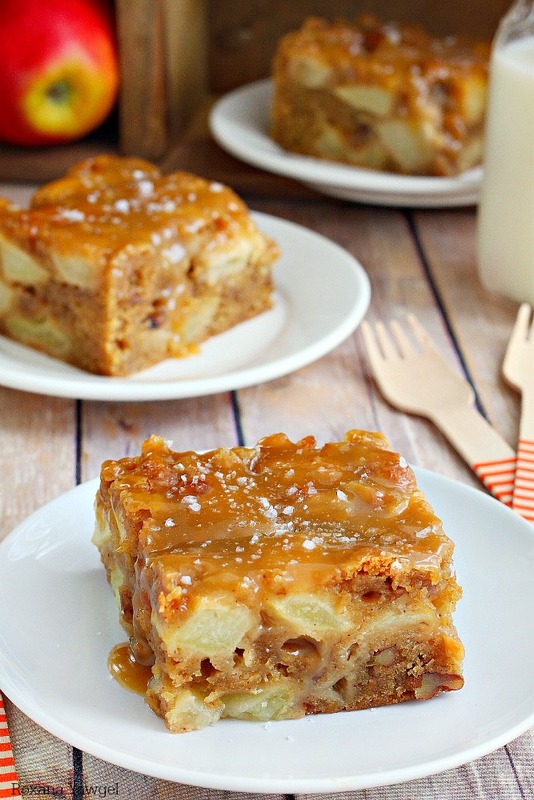 Great combination of apples and caramel. Yummy! This cake looks heavenly Roxana! And that salted caramel glaze? Heavenly! I wasn't able to go apple picking this year either :(. 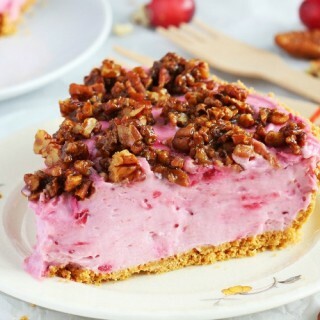 This cake look amazing! Wow that looks good! I love the big chunks of apples in it! Totally forgot to add the vanilla as it isn't in the instructions.